LITTLE ROCK, Ark. 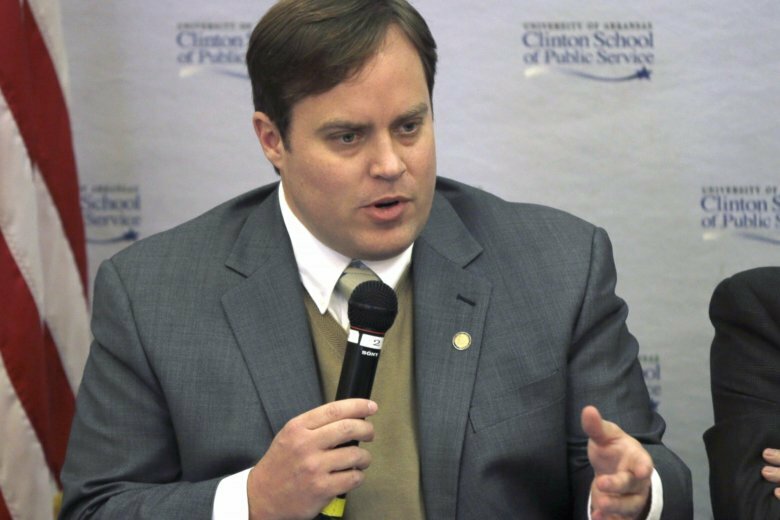 (AP) — Former Arkansas state Sen. Jon Woods has reported to a federal prison in Texas to begin a more than 18-year prison sentence for bribery . The Federal Bureau of Prisons website shows Woods is being held at a low-security facility in Fort Worth. The Arkansas Democrat-Gazette reports that Woods arrived at the prison at 1 p.m. Wednesday, the deadline for him to report. On Monday, a federal judge rejected Woods’ motion to remain free pending an appeal of his May conviction on 15 counts of conspiracy, fraud and money laundering . Prosecutors say Woods and former state Rep. Micah Neal, both Republicans, directed approximately $600,000 in state funds to two nonprofits in exchange for kickbacks. Neal pleaded guilty as part of a plea agreement and was sentenced to probation .